Have you ever wondered about the value of the clean water you drink? The irrigation and flood control measures in your community? The trails you walk? The insects that pollinate food plants? Or how resource managers balance the needs of different groups of stakeholders? 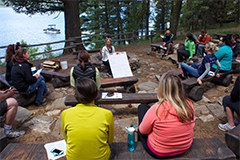 Middle- and high-school teachers from across Idaho are invited to take part in workshops designed to build understanding of the various ways we benefit from having healthy, functioning ecosystems, and the challenges that we face as a state in trying to manage our resources to maintain balance in these systems, especially in the face of growing urbanization. 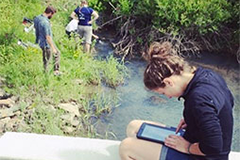 Follow our adventures as we explore Idaho's ecological systems. 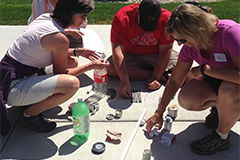 Find lesson plans for outdoors or for your classroom. Explore additional resources in support of Adventure Learning.